Costa Rica’s Cartago Province is home to the lofty Irazú Volcano as well as a variety of historic settlements. 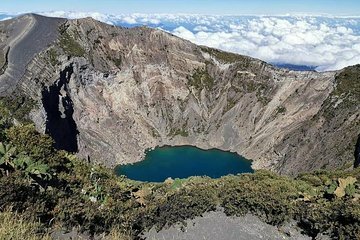 See Cartago’s highlights in a single day on this private tour, which allows you to experience Irazú Volcano National Park’s panoramic viewpoints and steaming craters, visit centuries-old settlements, and admire historic Spanish-colonial churches. Your guide navigates and provides transportation, leaving you free to enjoy the scenery.